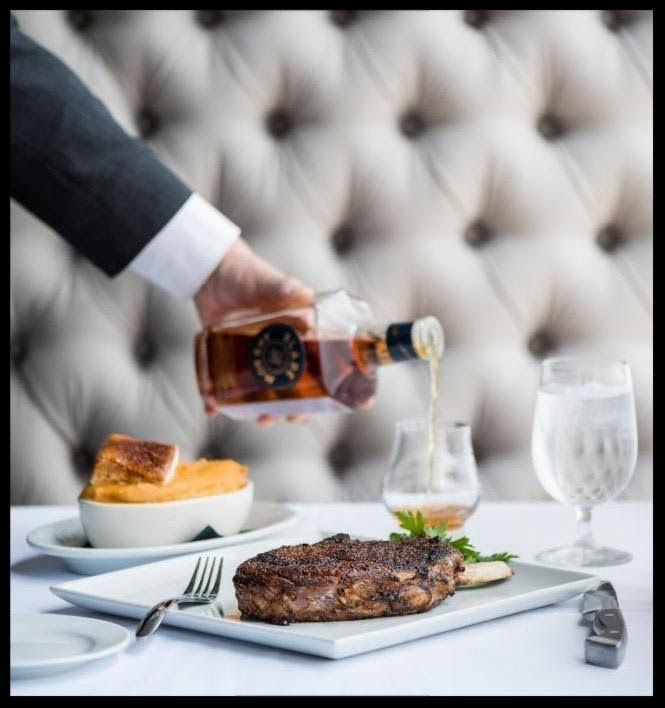 Sure, it’s our steaks that initially catch your eye, but our other entrees need not be relegated to wallflower status. 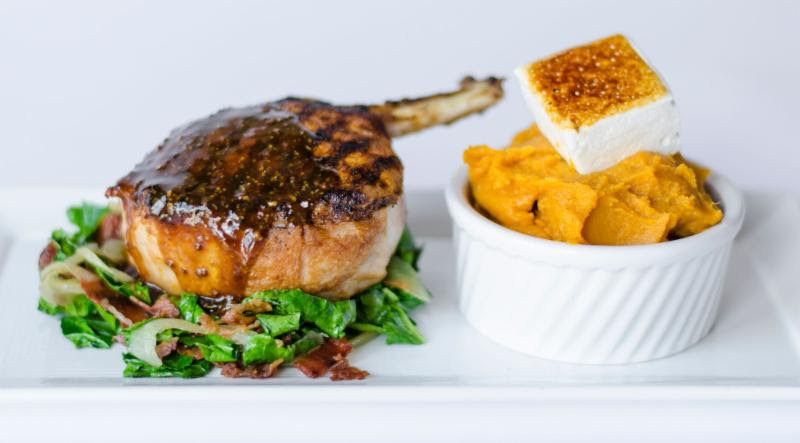 Have you tried our pork chop, served with braised greens and sweet potatoes and topped with a house-made cinnamon maple marshmallow? Or consider our slowly braised short ribs, paired with creamy horseradish chive whipped potatoes and smoked tobacco onions. Whether you choose our chicken with its crispy skin or our succulent New Zealand rack of lamb, all come in the signature Tony-esque portion size. One of the above was made in America, one was not. Tony came to the states as a young boy and aren’t you glad he did? 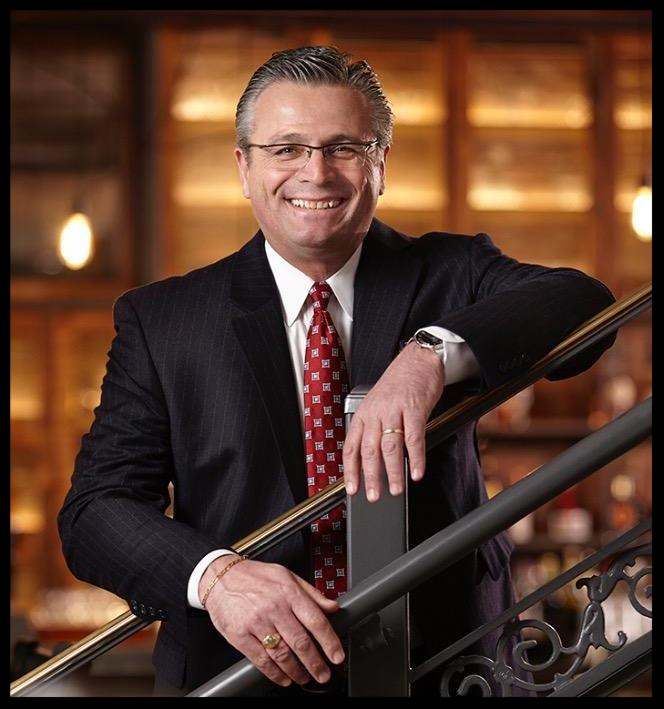 Tony’s would not be Tony’s without that wonderful sense of Italian hospitality that is part of the owner’s DNA. Our steaks, however, hail from all-American beef, raised in the upper plains of our great country. Want to fuse the two cultures? Try our Rig-a-Tony, made with house-ground strip loin and hand-cut filet. Our rich bolognese sauce is layered with robust flavors and herbs and topped with fresh grated Pecorino Romano. Fennel and red pepper add a depth of flavor. 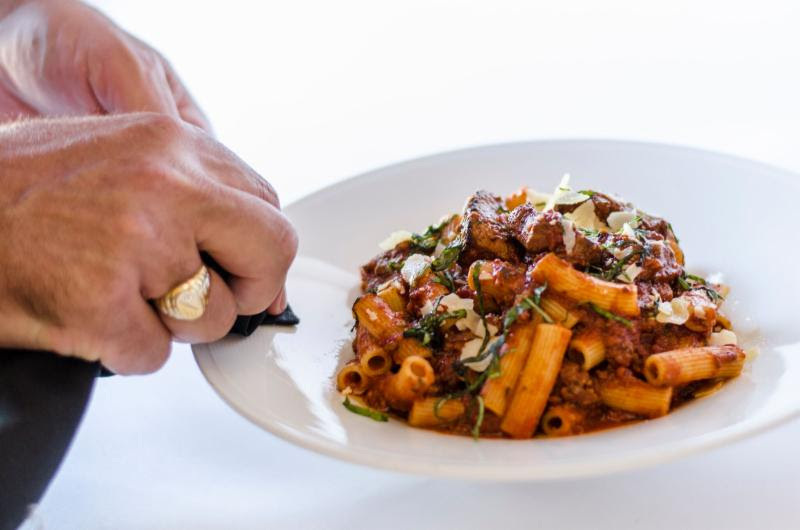 Rigatoni, Tony’s favorite pasta, is the perfect companion to this exuberant sauce. You’re making us blush! 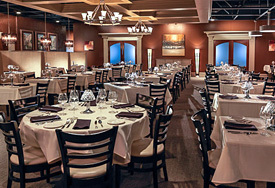 Tony’s was featured in both the Lexington and Cincinnati editions of Sophisticated Living Magazine. See the article. Tony’s was also listed as the #1 seafood destination in Cincinnati! See the article. It is said that a typical college student’s diet consists of the following: energy drinks, gum, ramen noodles and cereal. We are proud to say we offer none of these. Treat your college student to a proper send-off, complete with a noteworthy and nutritious meal full of vitamins, minerals and calcium–with no Solo cups in sight. Send them off to their new school in old school style.